In 2019, the AKC Winter Classic will take place over three days, January 25th to 27th,2019. We have 3 All Breed Championship Shows, 3 Rally Obedience Trails and Three Obedience Trails. Other events include Conformation Sanction Match hosted by the Alberta Dachshund Club - Thursday evening, Obedience Fun Match hosted by Wild Rose Springer Spaniel Association of Alberta - Thursday evening, Junior Showmanship Competition - Saturday and Sunday, and Scent Hurdle Racing - Saturday after Best In Show. 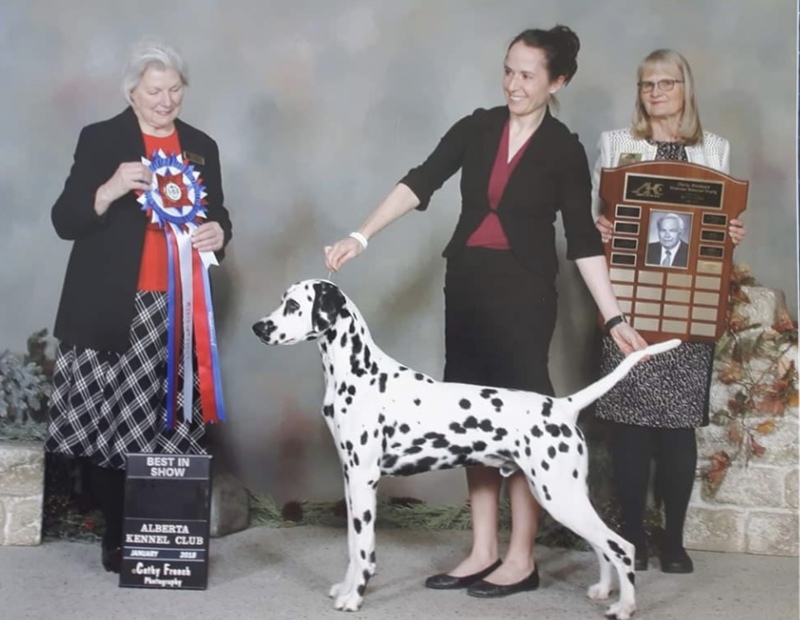 Our show continues to grow year-over-year, with approximately 1,500 people attending to watch the show, to learn about dogs, dog sport and the dog fancy over the weekend. We believe that public education about the world of purebred dogs is an important role that the AKC Winter Classic are able to provide. Conformation and obedience fun matches, rally-obedience sanction match, junior showmanship competition and scent hurdle racing. and obedience/rally are 26/26 sold. The Alberta Kennel Club is providing reserved and unreserved space for all our exhibitors. In order to satisfy the demand and give all the opportunity to enter the show, we have reduced the size of the base unit to 4’ x 8’. Additionally we are asking exhibitors to judge the space needed by the number of expected dogs per reserved space. We understand that dogs come in different sizes and so will define a "one unit dog" as referring to a medium and smaller sized dog and a "two unit dog" as referring to a large to giant sized dog. The largest benching space available this winter will be 480 sq. feet, please see the premium list for details and suggestions of number of dogs per benching space and pricing.